Three Free Books To Giveaway! Beating Broke is a blog about living a life that aims to be free of debt, and the journey of getting there. You can drop by the Beating Broke blog to read an interview with Debt Free for Life author, David Bach, as well as a review of the DebtWise.com debt reduction tool. If you’re reading this, there is a very good chance that you know the name David Bach. You very likely have read one of his “Finish Rich” books. Many of those books focus on helping take control of your finances, create a system to make it almost automatic, and then execute it in order to become “rich”. Debt Free for Life is closely aligned with those other books, but is aimed more towards those that are on the brink of financial disaster. In the course of reading the book, Bach leads us through a mini course in debt, how we get in debt, how we stay in debt, and then the different methods and tools that we may need to get out of that debt and stay out. The educational part in the beginning of the book should prove very valuable for those to whom the book is aimed. In chapters 1 and 2, Bach covers the basics of the ways that we’ve come as a society to spend more and more that we don’t have, and then how the math on that debt is designed by the lenders to keep us in debt. 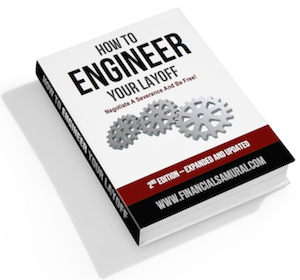 In chapters 3 and 4, he then goes further into the psychological mindset needed to work your way out of debt. He does a great throughout the book, and especially in these chapters, of making sure that the reader is aware that there is no instant fix for debt. If you want to get out of debt, it’s gonna take some time. Chapter 5 and chapter 6 explain his DOLP method, which resembles what most would know as the debt snowball popularized by Dave Ramsey, and using the DebtWise.com debt tool to execute the DOLP method. Much like the debt snowball method, the DOLP method is a solid method that will resonate with many readers. The rest of the novel, with the exceptions of the last two chapters, goes through the different methods and tools that Bach suggests to get rid of your debt. Beginning with negotiating your debt and interest rates, Bach moves on to credit scores, and then moves on to a few topics that most personal finance bloggers are usually hesitant to discuss. Time-barred debt, debt counseling, debt settlement, and even bankruptcy make the set list. Don’t let that turn you away from the book though. The truth is that all of those topics are necessary evils to talk about for many who find themselves deep in debt, and Bach does a wonderful job of explaining each and giving the detailed situations where each might be needed. Bach finishes up the book with a chapter that introduces (or reintroduces if you’ve read any of his previous books) his automatic millionaire method, and a chapter that makes the reader aware of the many places where there may be “lost” money. My thoughts on the book are somewhat mixed. In my opinion, the book spent too much time in the final chapters dealing with attempting to write off “time-barred debt”, and then bankruptcy. Bach doesn’t necessarily push either method, and certainly doesn’t push the debt settlement industry, and instead suggests the non-profit debt counseling industry. I would have liked to have seen a bit more on the DOLP method, and different scenarios on how it might work. I think part of my issue here is that the book is clearly aimed at people who are struggling with debt and are handling it poorly. It’s a guide for those who have very little knowledge on personal finance. I don’t think that I qualify as one of the readers that Bach is aiming for here, so it just didn’t do anything for me. If you are struggling with debt and are searching for a way out from your debt, this is the book for you. 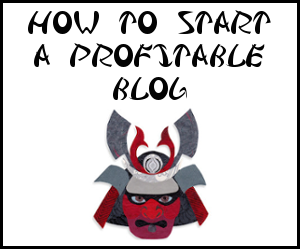 Before you go and pick it up though, you should add Yakezie.com and Beatingbroke.com into your RSS feed reader (or subscribe for email updates). Then go pick up the book. Or, if you want to try your chances at our giveaway, you have a chance to win a copy of the book. It's time to break free of our broke lifestyles. Follow my adventures at Beating Broke and at 21st Century Human as I try and analyze the cultural norms we must break free of, and discover a path towards fulfillment and prosperity! Very comprehensive review. I retweeted the contest and followed BB. I’m already following Yakezie from @FSYAonline. Tweeted! I am curious to read more about DOLP. Does it stand for “Don’t Owe a Living Person? I’m glad to see so many books on personal finance. I hope these books all truly help people and don’t just decorate web sites and book shelves. What more can we do to get people to actually read these books and practice the principles? I’ve read a few of Bachs books and they are all very useful. This particular one is a bit more useful (in my opinion) for those that are drowning in debt. Hopefully it does reach some of those people and help them out! One of my favorite things about running blogs and reading PF blogs are all the good giveaways! Just love them! 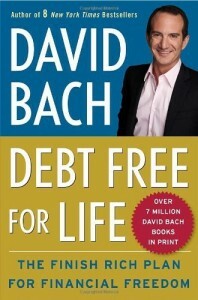 What’s interesting to note is what a 180 David Bach has turned towards debt. He’s now gone major anti-debt to the extreme rock a mic like a vandal after the downturn. Debt is a solid tool if you know your own capabilities. He spends a good first few pages explaining part of that turn around. I do tend to still think that some debt, used wisely, and temporarily, can be good. But, overall, debt is still a pretty big hinderance. Another thing that impacted him, which he highlights openly in previous interviews and a book is his divorce. Losing half is tough, and all the more reason to have as little debt as possible…. or maybe not! I think the key would be to have no revolving debt. If you have 0 debt, then it becomes much more plausible to use debt as a tool (e.g. a mortgage on rental property or a equity loan for a business). I didn’t know that he was divorced.. :( He’s the same author of The Automatic Millionaire, right? He seems to have shifted focus on his books to mainly talk about debt. I guess that’s what attracts readers these days with the previous economic downturn, getting rid of their debt. Yeah, he mentioned his divorce on Flexo’s podcast several months ago. Yes, debt is a big thing, so addressing that issue should make the most amount of cents. Good solid review. I think it would probably be helpful for those in debt, but I agree with your shortcoming regarding bankruptcy. I really think that is a last last last resort. Of course I have done all of the steps above! Thanks Barb! So far, it looks like your chances of winning are pretty good! Getting in control is the hardest step, Charlie! Keeping in control takes work too, but its much easier than facing what you’ve created and dealing with it. Kudos to you for helping your parents with that! Please remember to tell us what steps you’ve taken for entries in your comment so we can count you in! Good review. I read his previous book but not this one yet. Sooo….David Bach actually followed me on twitter the other day! Okay…I know, he probably does what most of us do and follow people in our niches, but it still made me smile:). Same here. It’s kind of surreal when people like that follow you. I’m sure he does just follow other people in the niche, but still. Made me smile too! I just won a copy of this book. I am reading it now. Good review! Will recommend this book to those who are struggling with debt and are handling it poorly.